When it comes to having portable and bright work lights for a space you are in, most folks think of the older and inefficient halogen versions. With the advent of better LED technology, there's never been a better time to have a great portable light at your fingertips. That is mainly due to it's high energy efficiency, and the fact that LED's don't get anywhere near as hot as their halogen counterparts. Even with these new advances, it was still difficult to truly see and have real portability for a worklight. That is, until now! 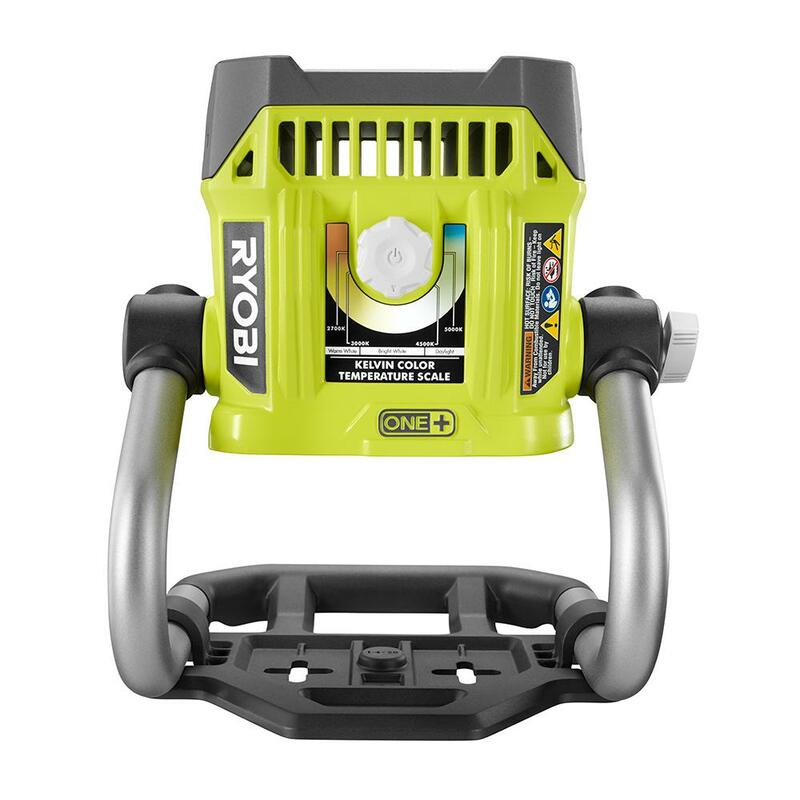 Introducing the Ryobi 18-Volt Hybrid LED Color Range Work Light! What makes this one of the best work lights out there is how much light it gives off, as well as the color of light. In terms of the color of light, you can actual set it to 4 different color temperatures (or Kelvin) on the back of the unit. While this may be considered simply a cool or frivolous feature to have, it's actually great and almost crucial in home improvement projects, like painting. For example, having a daylight (5000K) temperature makes paint colors look truer when it's your own source of light after the sun goes down. 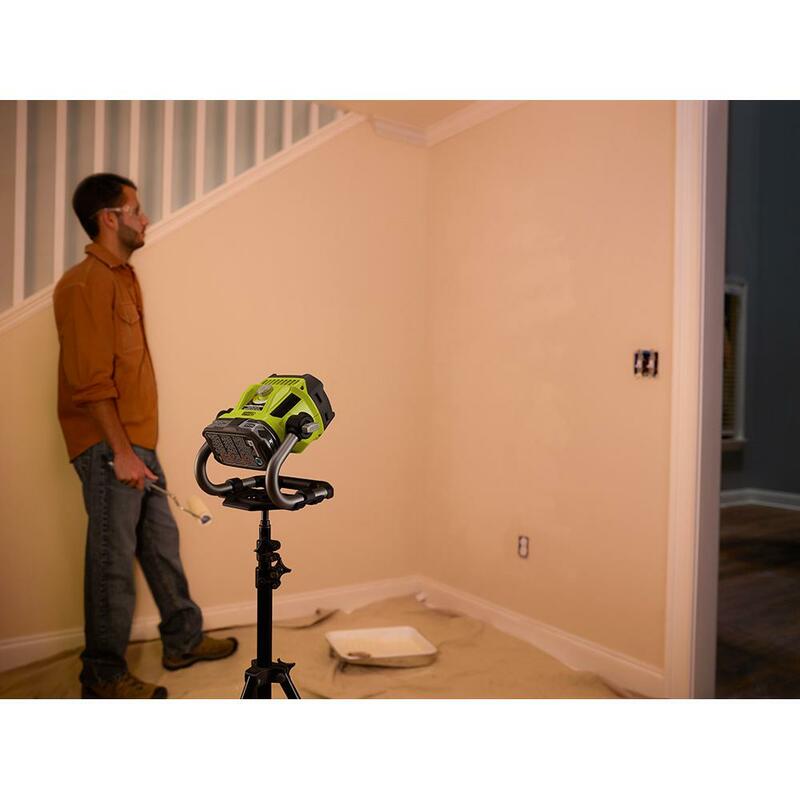 These images below show how different walls call look using the different adjustment settings on this work light. Another great feature that I'd like to discuss is the fact that it is a true hybrid light source. 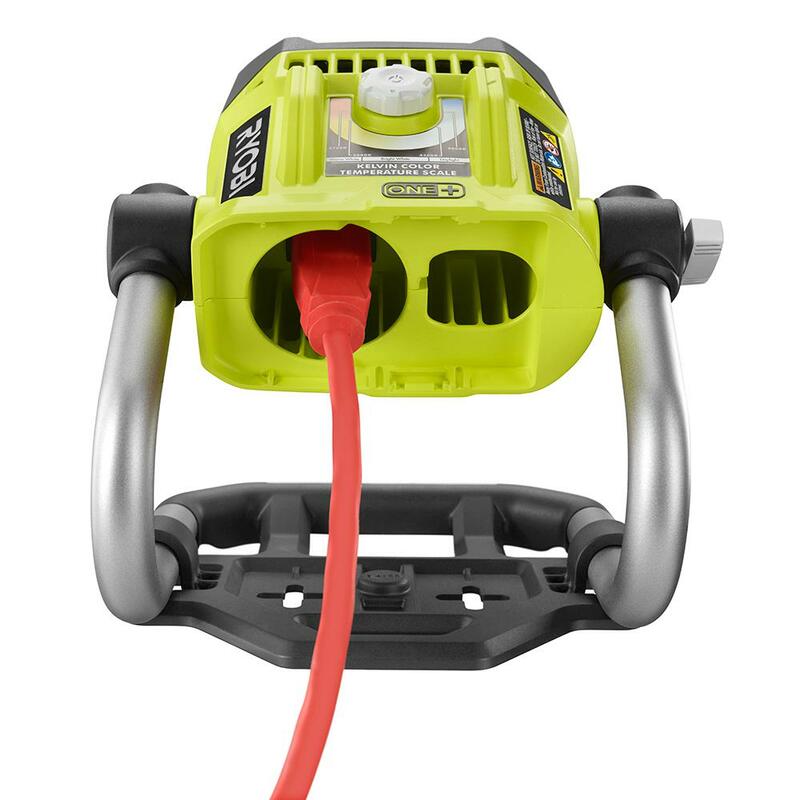 Since it is a Ryobi ONE+ tool, this work light can be plugged into a regular 15A 125VAC outlet OR can be cordless via a Ryobi Lithium Ion ONE+ battery, both shown below. A fully charged battery will give you 24 straight hours of lighting. 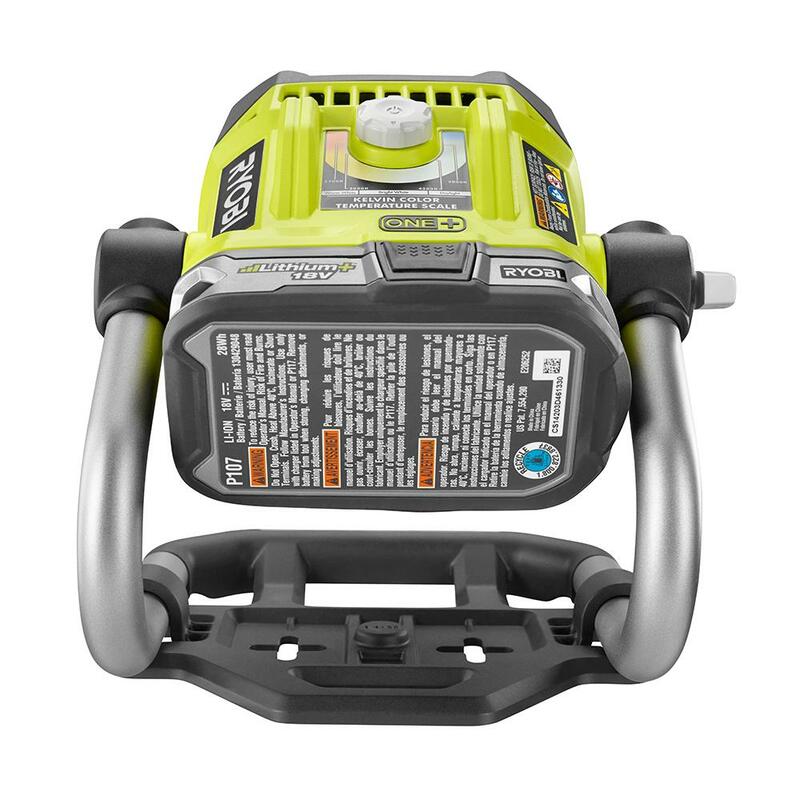 This is a great option for anyone who has a Ryobi ONE+ tool system, such as a drill and is working at a site where there is no electrical. Or even places where an extension cord can't reach or will be an issue, like in an attic or crawlspace. The 3 hi-medium-low settings on the work light make it ideal for even smaller areas, such as working on your car in the dark. The hi setting goes up to 1200 lumens, which is very powerful for a small light such as this. That's about the equivalent of 150 watts in incandescent lighting! The last feature I'll mention is its hanging options. You can opt to have it screwed onto a tripod, mounted on a wall, or just leave resting on a table. Since it's adjustable, you can get exactly the amount of light where you need it. 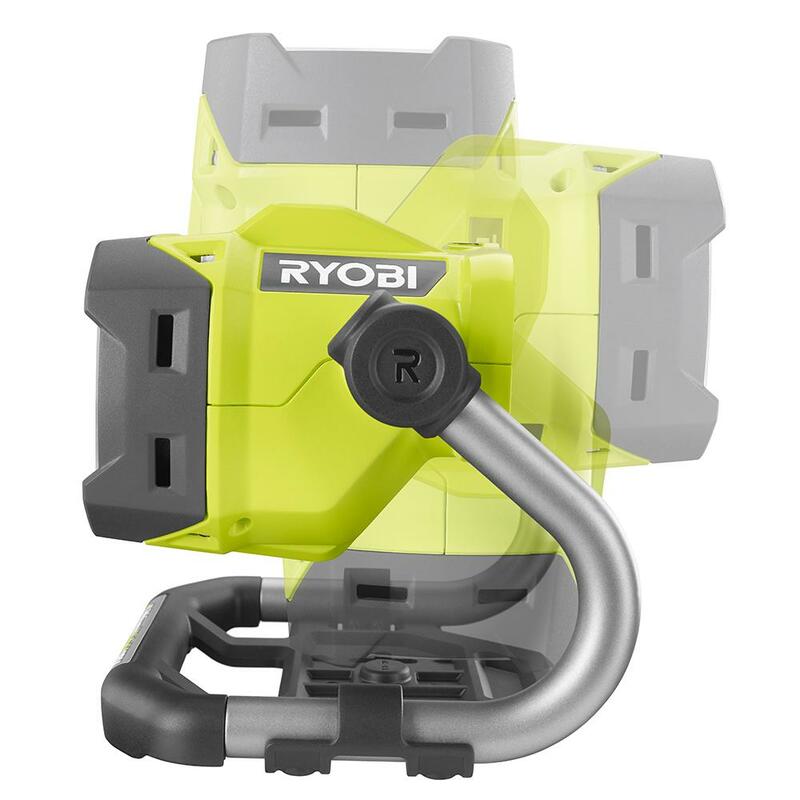 Whether you are looking for a new work light or maybe just a better one than what you have now, consider purchasing this Ryobi ONE+ Hybrid Color Range Work Light. 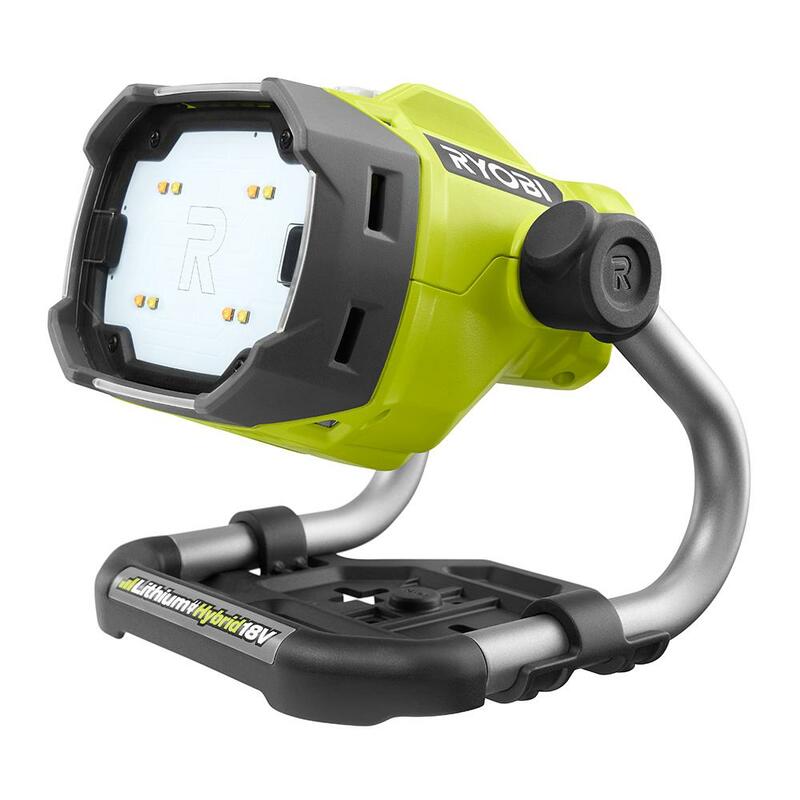 It might just be the last work light you'll ever need! 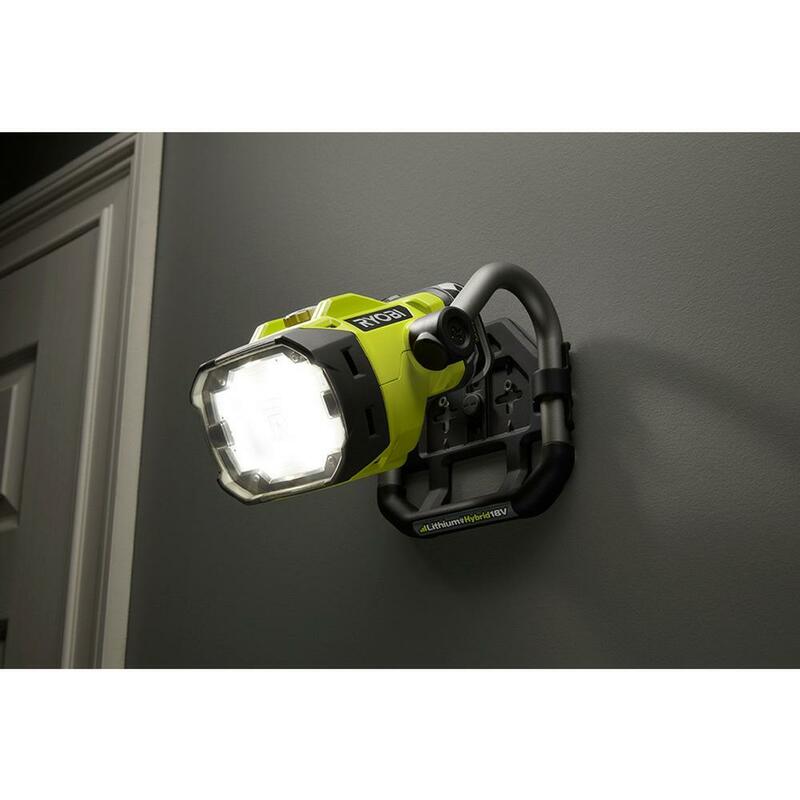 Be sure to check out this new work light in our stores, as well as a new selection of additional LED work lights in various forms in the electrical and hardware departments. For additional lighting questions, do not hesitate to ask here.